Lovely is a soft pink and floral template featuring a long design, circle photos and banner flags buttons, with large clear images used in the blog & shop layouts. 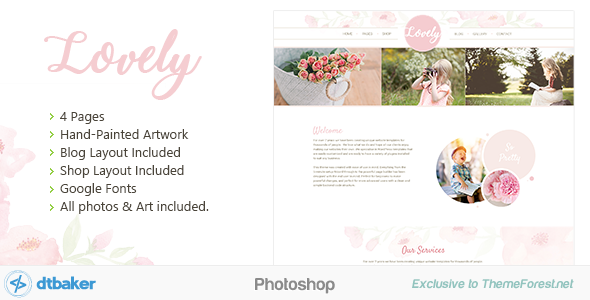 If you are looking for a pretty template to get your feminine website started this is it. This design would suit any womens website, interior design, personal blog, children, baby, wedding, fashion, lifestyle, wellness, health, or florist.